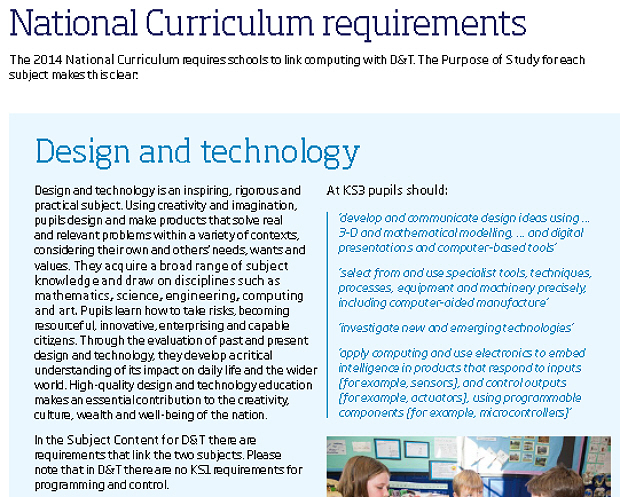 The purpose of this guidance is to help primary and secondary teachers in England introduce the National Curriculum 2014 requirements that link computing with design and technology. 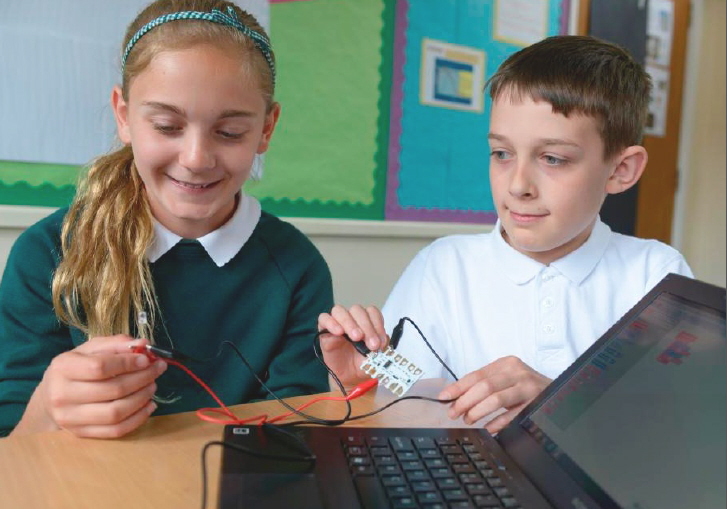 It explains in general terms how the two subjects are related and then focuses on the application of computing in design and technology to program and control physical systems in KS2 and KS3. Developed by the Royal Academy of Engineering, Computing At School and The Design and Technology Association.